I only found out about the place a couple of years ago, and it has surprised and delighted each of my NYC guests ever since. It was a true urban gem. I don’t know enough about the legality of the issue to comment much on that dimension of the art’s destruction, but one thing is for sure: the loss of this site is pretty much a major cultural tragedy for New York City. 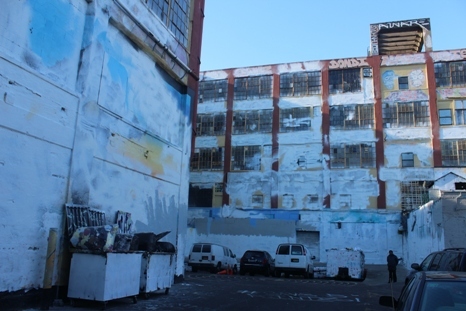 I sort of hope that if there really is 10,000 square feet of blank wall dedicated to aerosol artists’ use in the new development, as has been proposed, it remains mutely white in protest. 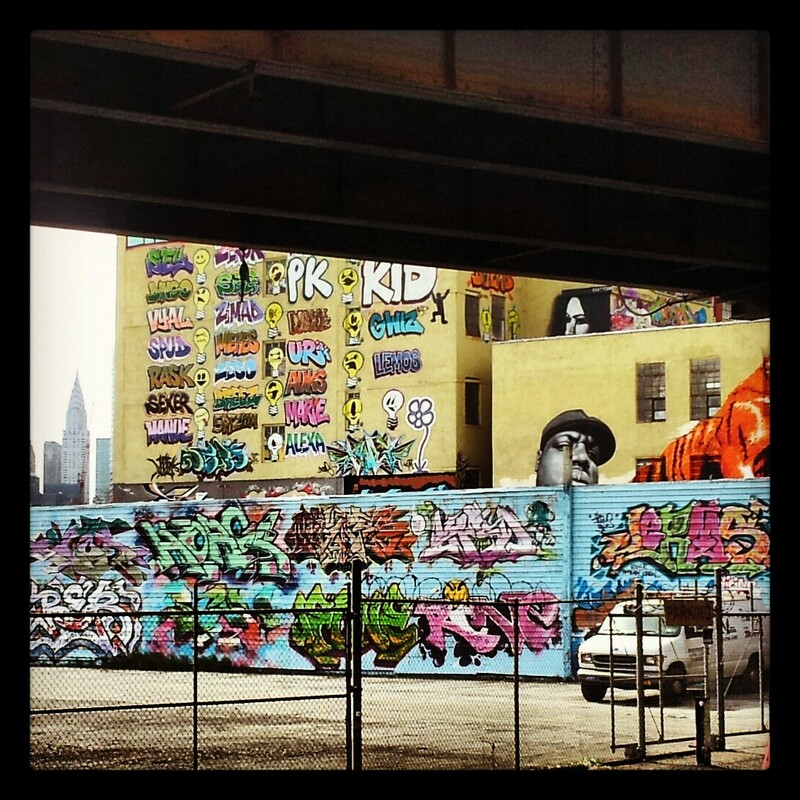 Here’s a brief slide show from my first visit to 5 Pointz. I’m sorry to have missed this, and grateful that you documented it. I wonder if there could be a way to collect together into one place the photos that people have taken of five points? Hopefully they won’t end up as an expensive coffee table book. Thanks. It’s quite sad. Yeah just search Flickr for 5 Pointz!